Foreign businessmen took advantage of the sudden and temporary plight of the Icelanders during the 2008 bank collapse to grab Icelandic-owned assets at prices far below market prices, even prices in a depression. They could do this because authorities in some European countries refused the same assistance to Icelandic-owned companies that they extended to domestic countries. 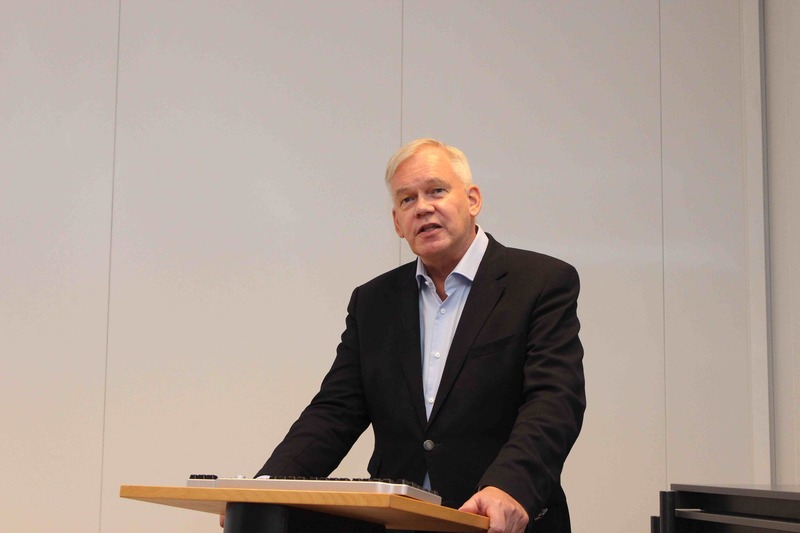 This was the main message in a lecture given by Dr. Hannes H. Gissurarson, Professor of Politics at the University of Iceland and the RNH Academic Director, at the spring conference of the Institute of Business Studies at the University of Iceland 14 March 2014. Professor Gissurarson reminded his audience of St. Thomas Aquinas’ view on business ethics: While merchants might, legally and morally, try to get the highest price possible for the goods they offered (Summa Theologiæ, II, II, 77, 3), they should not take advantage of the sudden, unforeseen and temporary plight of their neighbours to extract exorbitant prices from them (Summa Theologiæ, II, II, 66, 7). This view is shared by classical liberals or libertarians like F. A. Hayek and R. Nozick, but rejected by hard-core propertarians. Professor Gissurarson analysed three example, the sales of Glitnir Bank ASA and Glitnir Securities in Norway and of Glitnir Pankki Oy in Finland. After the Icelandic bank collapse, the Norwegian Central Bank had refused to provide liquidity to Glitnir Bank ASA, referring it instead to the Norwegian Guarantee Fund of Depositors. The leadership of the Guarantee Fund had provided a temporary credit line on the condition that the bank would be sold quickly, and then it had formed a consortium to buy the bank for 300 million Norwegian kroner, valuing it three months later at 2 billion kroner. 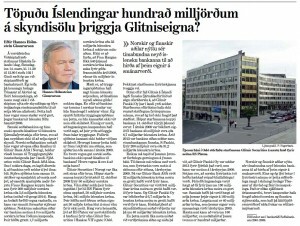 Glitnir Securities had been sold to a group of employees for 50 million kroner; the group sold half the company to another company, RS Platou, conveniently located in the same building in Oslo as Glitnir Securities, for 50 million kroner, thus appropriating half the company for nothing at all. The Finnish Financial Supervisory Authority demanded, according to Professor Gissurarson’s sources, a quick sale of the Finnish bank. It was sold to a group of employees for a mere 3,000 euros, even if it was valued at more than 40 million euros. In 2013, the bank was sold for 200 million euros. Professor Gissurarson estimated that the difference in market prices and the prices extorted by foreigners from these three “fire sales” was between 40 and 160 billion Icelandic kronur.